Like my bread machine, my poor ice cream maker is also an unfortunately under utilized small appliance in my kitchen. 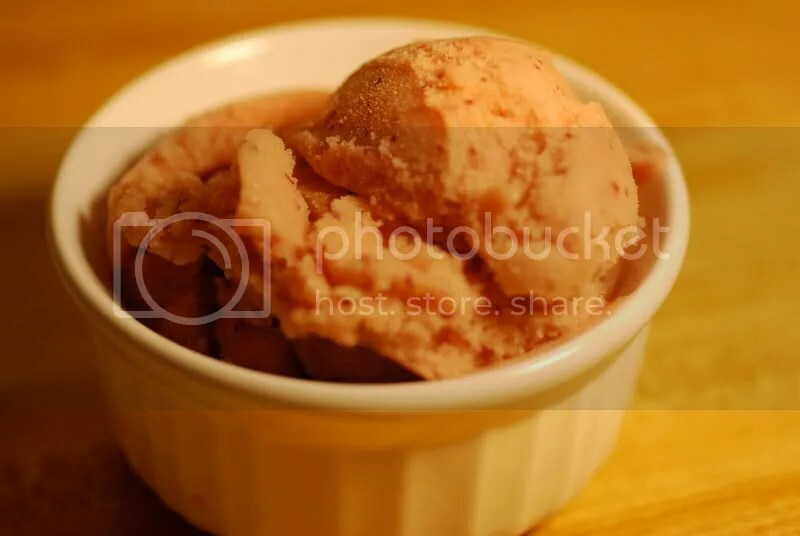 In an effort to make use of what I’ve got (or else get rid of it), I pulled the ice cream maker out of its cabinet, took stock of what I had on hand, and decided upon a banana- cranberry soy ice cream. It just so happens that I have a few bags of cranberries in my freezer. You can really only get fresh cranberries at this time of year and, even though I have never been interested in cranberries in the past, this season I found myself snatching up bags at the store, only to get home and wonder, “What now?” about the berries. Even though my primary motivation for incorporating cranberries into this soy ice cream was to make use of my many cranberries, it was my belief that the tart of the fresh cranberries would undercut the sweetness of the banana, and the result was a delicious and unique dessert. My base for this dessert was the vegan soy ice cream recipe from The PPK. 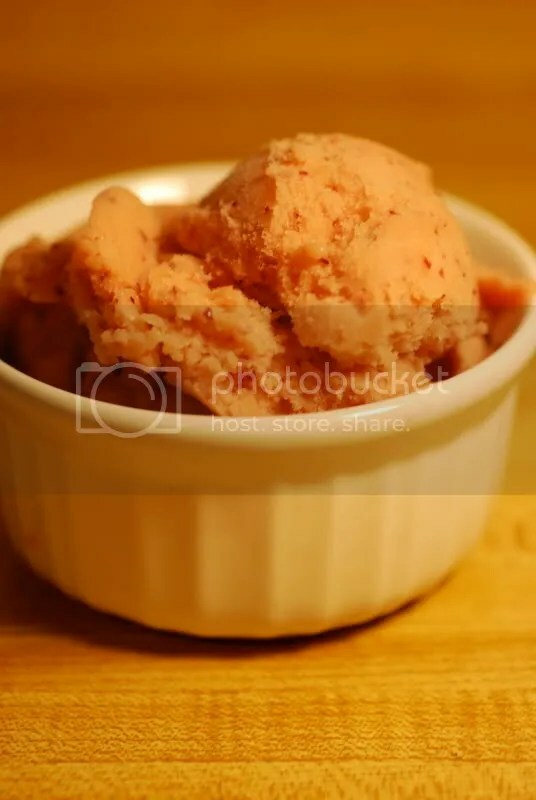 Puree all ingredients in a food processor or blender. Pour into ice cream maker and freeze per manufacturer’s instructions. I just made this. Well, sort of. I had some coconut milk that needed to be used, so I subbed that for more than half of the soymilk. And I didn’t add any bananas, so I had cranberry ice cream: it was delicious though. So creamy and not soy-tasting at all. Thanks for the recipe!